I’m not normally taken by the look of a new iron anymore, but when I pulled the i20 irons from the packaging I must admit I could see straight off that the matt finish was going to be a winner – and I wasn’t the only one. I tested the irons on a recent Golf Road Warriors trip to Scotland, taking in eight courses in seven days, and the caddies all remarked upon their attractive, inviting appearance. This was also true of the i20 driver, fairway wood and hybrid, but more of that in the i20 woods review. You could see from the finish that the i20s were going to have a nice feel and strike when you hit the ball, and when I pulled out the wedge to play my second shot to the first hole at Dunaverty Golf Club, I wasn’t wrong. It felt like the ball just melted into the face. Shame I couldn’t see it stop as it was a blind shot, but I knew from instinct it was going to stop and spin. Eight courses later – and playing in every kind of weather that the golfing gods could throw at us – the Ping i20s held up. The 30mph winds and driving rain at Turnberry were their biggest test, I had a spare towel in a plastic bag and a quick wipe of the very wet grips and they were instantly dry and ready to go. I couldn’t ask for much more than that. 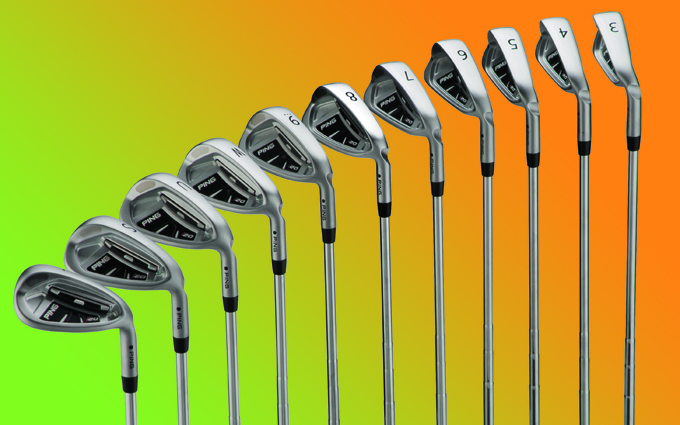 I played punch shots into the wind with all the low irons which have a larger head – the Ping engineers have designed the face so they get progressively larger when you get to the long irons, offering more forgiveness. They also give you a higher launch angle – something I wasn’t looking for at Turnberry, but moving the ball back and playing a three-quarter swing took care of that. The lower irons have a smaller face and are less off-set for improved control, and when I finally did get to see my low irons hitting the green you could tell how well the ball was picking up all the grooves on the clubface, giving you all the control you need around the greens. When the sun finally did put in an appearance at Machrihanish Dunes, the low-glare satin finish came into its own. There wasn’t going to be any glare catching your eyes unexpectedly with these beauties. 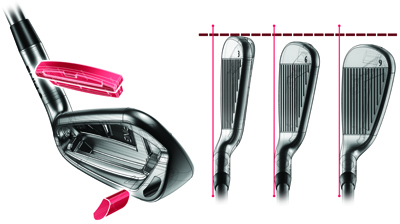 The i20s feature a tungsten weight in the toe of the irons, which has increased their forgiveness levels, while the new stabilising bar and thicker face, added to the softer feel of the i20s, help give you accurate distance control. You’ll notice a vertical custom tuning port placed at the back of the clubface: this helps position the centre of gravity helping to optimise your ball flight. 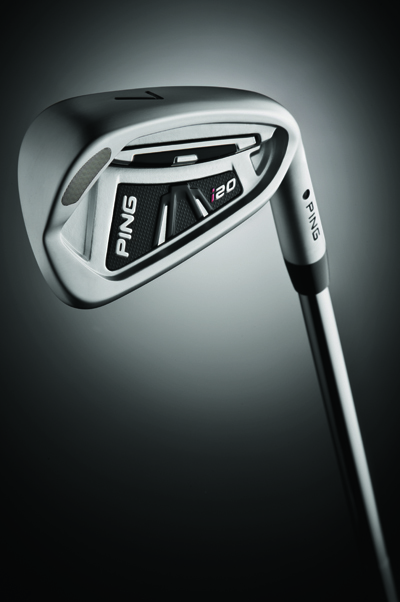 The Ping i20 irons are available with two shaft options: Ping’s CFS (Control, Feel and Stability) steel shaft and the TFC 169i graphite shaft. I really liked the look of the i20s. Some may find the top line a little thick if you are used to playing with blades, but not so much that it will put the better player off buying these. As most of you know by now, I use blades and still have my old TP11 2 iron, which is thinner than a butter knife, but the top line on the i20s didn’t put me off. All in all, if you’re looking to improve your game as a middle handicapper trying to get down to a lower handicap, and you’re searching for a club that is going to give you the feel, touch and control you want round the green and a little forgiveness from the longer irons, I would highly recommend you give these a go.